This smooth and creamy raspberry smoothie is so tasty you will think it’s a dessert (and so will the kids)! The banana acts to silken and sweeten the tart berries, while the almond butter boosts the protein content and provides a richer flavor with some essential good fats. 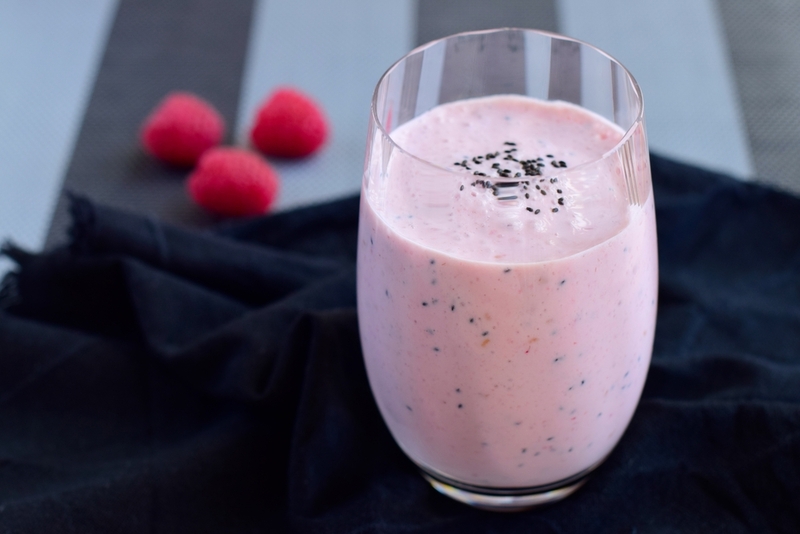 Blend the frozen raspberries, chia seeds, banana and coconut water in a processor or mixer to smooth out the berries. Mix the almond butter through. Serve immediately for a frozen sorbet texture.